Use these letters to create bulletin boards, classroom centers, signs, banners, and other displays. They punch out easily and are coated for durability. The colors and designs coordinate with popular decorative products from Teacher Created Resources. 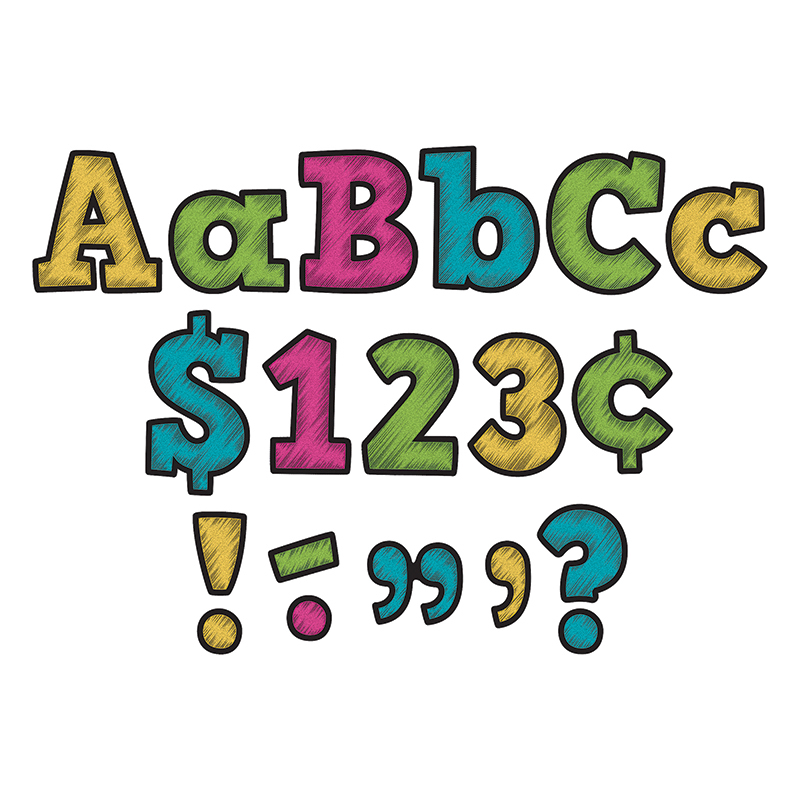 Each pack includes 230 total pieces: 61 uppercase letters, 95 lowercase letters, 20 numbers 0 to 9, 40 punctuation marks, 14 Spanish accent marks.